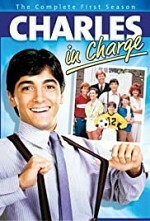 Charles in Charge > Season 5 > Episode 16 - Up Your I.Q. Watch Charles in Charge S5E16: Jamie gets upset when her boyfriend dumps her because she is shallow. So Charles does her a "favor" by allowing her to follow his sophisticated girlfriend around in hopes of getting him back.